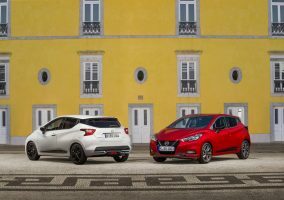 THE pioneering audio performance of the all-new Nissan Micra hatchback has won its first big award. The BOSE Personal system — with innovative speakers built into the driver’s head rest — has been honoured by the readers of Auto Bild. 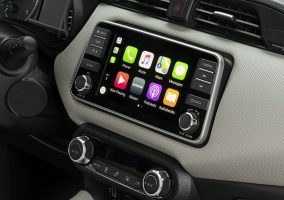 The respected German automotive title joined forces with Computer Bild magazine to stage their annual ‘Connected Car’ awards to highlight the best new technology from the world of in-car infotainment. BOSE Personal in the Nissan Micra was voted number one in the ‘Entertainment Sound’ category by readers of both titles. BOSE Personal sets a new standard in small car audio and is unique to the Nissan Micra. Custom-engineered for the hatchback’s uplifting interior, its six speakers include two in the driver’s headrest. The broad range of speaker performance means the system does not require a sub-woofer to create bass sounds – a component which often compromises boot space. The speakers work in tandem with the BOSE PersonalSpace Virtual Audio Technology. It’s a pioneering digital signal processing system which creates a vivid and rich 360° listening experience even at higher volumes. 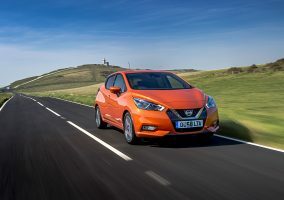 Drivers can choose their desired level of audio immersion though the Micra’s NissanConnect infotainment system. BOSE Personal audio is standard on the range-topping Tekna grade, and available as an option on N-Connecta and Acenta. So far, approximately 37% of Micra customers have bought a Nissan Micra with BOSE Personal fitted.